The strange and remarkable subterranean world where the diamonds are formed has, of course, never been visited, but has been intensively studied using a variety of indirect measurements. And this field has in recent weeks gotten some important discoveries based on those diamond inclusions. First is the identification by Fabrizio Nestola of the University of Padua and colleagues of mineral that has been theorized to be the fourth most common on Earth, yet had never been found in nature or successfully synthesized in a laboratory. 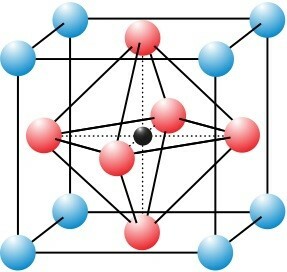 As reported in the journal Nature, the mineral is a variant of calcium silicate (CaSiO3), created at a high pressure that gives it a uniquely deep-earth crystal structure called “perovskite,” which is the name of a mineral, too. Mineral science does not allow a specimen to be named until it has actually been found in name, and now this very common form of mineral finally will get a name. But more important, it moves forward our understanding of what happens far below the Earth’s surface. The additional discovery was of a tiny bit of water ice known as ICE-VII inside several other deep diamonds. While samples of H2O ice have been identified in diamonds before, none were ICE-VII which is formed only under tremendous deep-Earth pressure. In addition to being a first, the ICE-VII discovery adds to the growing confidence of scientists that much H2O remains deep underground, with some inferring as much deep subsurface water as found in the surface oceans. That paper was authored by University of Nevada, Las Vegas geoscientist Oliver Tschauner and colleagues, and appeared in the journal Science. Diamonds are a solid form of carbon with a distinctive cubic crystal structure. They are generally formed at depths of 100 to 150 miles in the Earth’s mantle, although a few have come from as deep as 500 to 600 miles down. Those super-deep diamonds form in a cauldron up to 1,000 degrees F and at 240,000 times the atmospheric pressure at sea level. They are made from carbon-containing fluids that dissolve minerals and replace them with what over time become diamonds. The mantle – which makes up more than 80 percent of the Earth’s volume – is made of silicate minerals containing iron, aluminum, and calcium among others. Blue diamonds are that color because of the presence of the trace mineral boron in the mantle. And now we can add water the list as well. 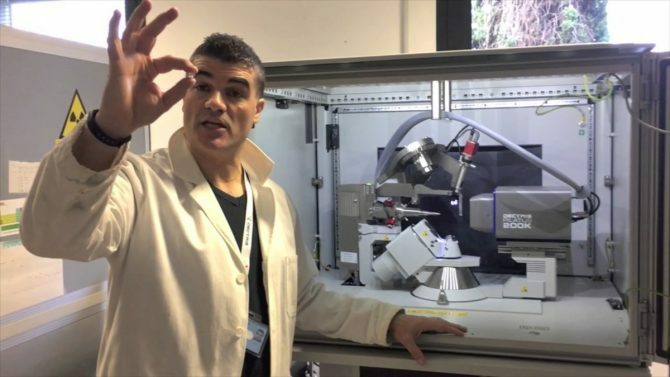 Professor of Mineralogy Fabrizio Nestola while a visiting professor at the University of Alberta. One of his collaborators on the recent high-pressure calcium silicate paper is Alberta professor Graham Pearson. Here Nestola presented on his recent work in advances in X-ray crystallography on diamonds and their inclusions. Nestola, who has been conducting his deep-Earth studies with a major grant from the European Union, is eager to take his already substantial work much further. First he is looking for answers to the basic question of the origin of water on Earth (from incoming asteroids and comets or an integral component at formation) and ultimately to the origin of life. Diamonds, he says, offer a pathway to study both subjects. For water, his goal is to find a range of diamond-encircled samples that can be measured for their deuterium to hydrogen ratio — a key diagnostic to determining where in the solar system an object and its H2O originated, Deuterium, or heavy hydrogen, is an isotope of hydrogen with an extra neutron. As the number of diamond samples with evidence of water grows, Nestola says it will be possible to determine how the D/H ratio changes over time and as a result gain a better understanding of where the Earth’s water came from. When it comes to clues regarding the origin of life, Nestola will be looking for carbon isotopes in the diamonds. Regarding the high-pressure form of calcium silicate that he and his colleagues recently identified, Nestola said that many scientists have tried to reproduce it in their labs but have found there’s no way to keep the mineral stable at surface pressures. 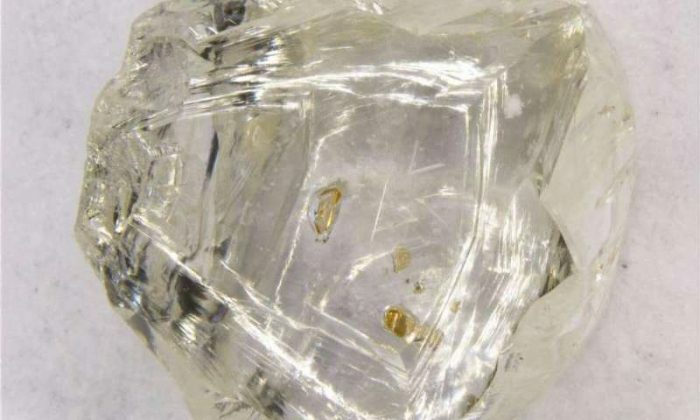 So the discovery had to be made from inside the nearly impermeable container of a diamond. The diamond that contained the common yet never before found mineral was just 0.031 millimeters across, is also a super-rare specimen. Adding to the interest in this discovery is that other trace minerals and elements found in the inclusion strongly suggest that the material was once on the Earth’s crust. The logic is that it would have been subducted as a function of plate tectonics billions of years ago, then encased in a forming diamond deep in the mantle, and ultimately sent back up near the surface again. Most diamonds are born much closer to Earth’s surface, between 93 and 124 miles deep. But this particular diamond would have formed at a depth of around 500 miles, the researchers said. For his ICE-VII study, Tschauner used diamonds found in China, the Republic of South Africa, and Botswana that had been pushed up from inside Earth. He believes the range of locations strongly suggests that the presence of the ICE-VII is a global phenomenon. Scientists theorize the diamonds used in the study were born in the mantle under temperatures reaching more than 1,000-degrees Fahrenheit. The mantle is a vast reservoir of mostly solid and very hot rock under immense pressure beneath the crust. It has an upper layer, a transition zone, and a lower layer. The upper layer has a little bit of water, but scientist estimate 10 times more water may be in the transition zone, where the enormous pressure is changing crystal structures and minerals seem to be more soluble. Minerals in the lower layer don’t seem to hold water as well. There’s already evidence of water in the mantle in different forms, such as water that has been broken up and incorporated into other minerals. But these diamonds contain water frozen into a special kind of ice crystal. There are lots of different ways water can crystallize into ice, but ice-VII is formed under higher pressures. While the diamond was forming, it must have encapsulated some liquid water from around the transition zone. The high temperatures prevented this water from crystalizing under the high pressures. As geologic activity moved the diamonds to the surface, they maintained the high pressures in their rigid crystal structures—but the temperature dropped. This would have caused the water to freeze into ice-VII. The discovery of Ice-VII in the diamonds is the first known natural occurrence of the aqueous fluid from the deep mantle. Ice-VII had been found as a solid in prior lab testing of materials under intense pressure. As described before, it begins as a liquid in the mantle. This discovery can help scientists create new, more accurate models of what’s going on inside the Earth, specifically how and where heat is generated under the Earth’s crust. In other words: “It’s another piece of the puzzle in understanding how our planet works,” Tschauner said. Diamonds are by no means exclusive to Earth. 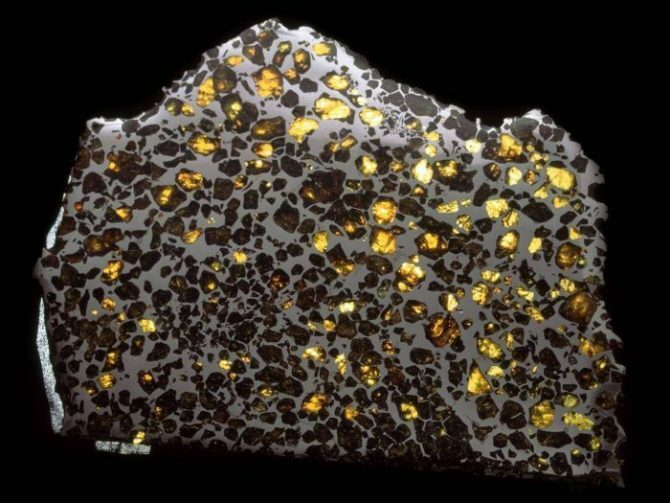 Not only are they contained in minute form in meteorites, but atmospheric data for the gas giant planets indicates that carbon is abundant in its famous crystal form elsewhere in the solar system and no doubt beyond. Lightning storms turn methane into sooty carbon which, as it falls, hardens under great pressure into graphite and then diamond. These diamond “hail stones” eventually melt into a liquid sea in the planets’ hot cores, researchers told a an American Astronomical Society conference in 2013. The biggest diamonds would likely be about a centimeter in diameter – “big enough to put on a ring, although of course they would be uncut,” says Dr Kevin Baines, of the University of Wisconsin-Madison and NASA’s Jet Propulsion Laboratory. “The bottom line is that 1,000 tons of diamonds a year are being created on Saturn. People ask me – how can you really tell? Because there’s no way you can go and observe it. These potential raining diamonds, and all sorts of other extraterrestrial diamonds including possible diamond worlds, doubtless have their own scientifically compelling and important stories to tell.